2018 White Transit 150 LR Van With 148 Inch Wheelbase, Pewter Interior, Xl Trim, 3.7l TIVCT V6 Engine, 6 Speed Auto Select Shift Transmission, 3.73 Ratio Regular Axle, 8600 GVWR, Back Up Alarm, Reverse Park Aid, 2 Additional Keys, AM/FM Microphone Bluetooth, Cruise Control, 4x Front Full Range Speakers, And Complete Vinyl Floor Covering. At Badger Truck Center, We Are A Truck Dealership With Sales Representatives Who Have Extensive Truck Knowledge And Can Help You Build And Price The Truck For Your Business Needs. Call Us To Get Started. Please Note That Pricing Does Not Include Eligible Incentives, Rebates, Or Bonus Cash. This 2015 Isuzu NPR-HD is powered by a GM Vortec 6.0L 297hp Gas engine and an Aisin 6-speed Automatic Transmission. The 17' FRP Dry Van Body has an Inside Height of 84" and Inside Width of 88". The Roll-up Rear Door has an opening of 82"W x 77"H. The curbside and roadside swing doors offer easy access to cargo located near the front of the body. The truck cab interior comes equipped with an Upgraded Bostrom Driver's Seat, Air Conditioning, AM/FM Radio w/CD Player and Bluetooth for wireless phone calls, Engine Block Heater, Cruise Control, Power Locks, Power Window, Back-up Alarm, and Heated Mirrors. 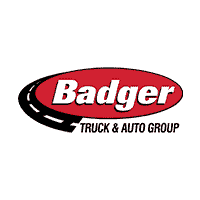 Call Badger Truck & Auto Group in West Allis at 414-321-3100 to speak with one of our Commercial Truck Professionals.